June 24, 2016 June 25, 2016 susanwithpearls Being, Cause & Effect, Choices, Enlightenment, Everything changes, Heart, Inspiration, Love40 days, A Course in Miracles, Consciousness Journey, Journey of Healing, No more words, What does it all mean? 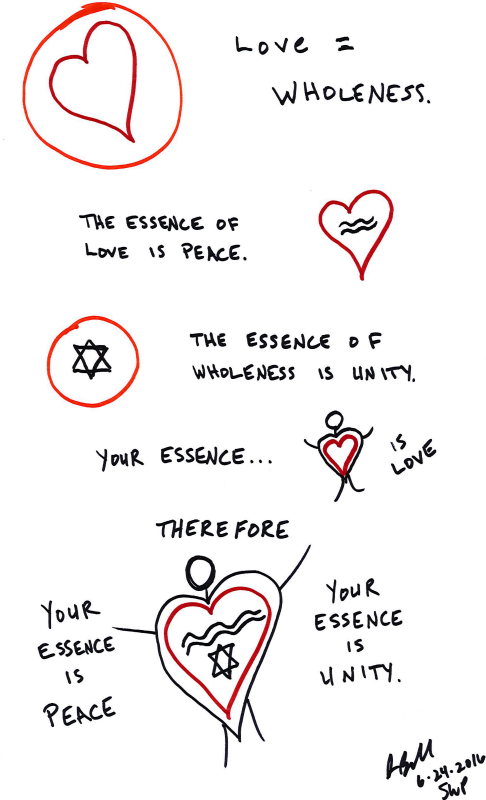 Love is Wholeness. The essence of Love is Peace. The essence of Wholeness is Unity. Your essence is Love, therefore, your essence is Peace; your essence is Unity. Since your essence is Unity, you share Love and Peace wholly. Knowing the Unity of Whole Love and Peace with All is the essence of holiness. 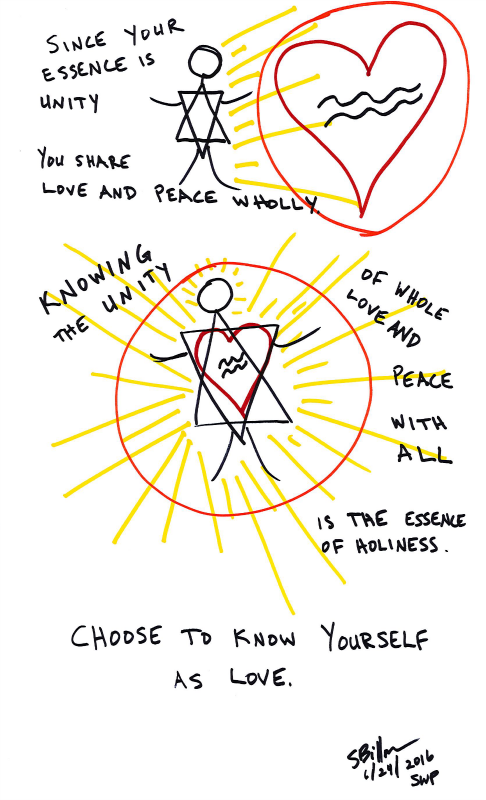 Choose to be aware, to understand and to Know your Whole and Holy Self, which is Love. The Guiding Thought felt really convoluted today. Such repetition! Such overlap! Such intermixing, intermingling, and tangling of words! What does it all mean?? No more words. This is how I straightened my thoughts out. How would you depict this Guiding Thought, if you were to depict this Guiding Thought?